I am not a chef. I don’t really even like to cook. I do cook, and do it quite well if I do say so myself, mostly because I have these children who seem to think they need to eat every single day. Multiple times a day even! I know shocking, right? I should have read the fine print before I took them home from the hospital. Over the years I have realized that there really are recipes that are easy and use simple ingredients. We have family favorites. I have spent many hours pouring over the internet trying to find new recipes that might make it into my family’s meal rotation. 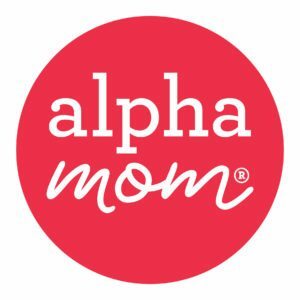 While I tend to get bored with eating the same meals, my children disagree. They would happily eat the same three things over and over again, forever, amen. I have discovered that often times the deciding factor between me trying a new recipe or not has to do with the photographs. Here I admit that I sound an awful lot like my children who look at new food on their plate and tell me they know they won’t like it. We all want it to look just as good as it tastes! 6 tips for taking better photos of your food. 1. Get in close. So close that you feel as though you could taste it right through your computer screen. 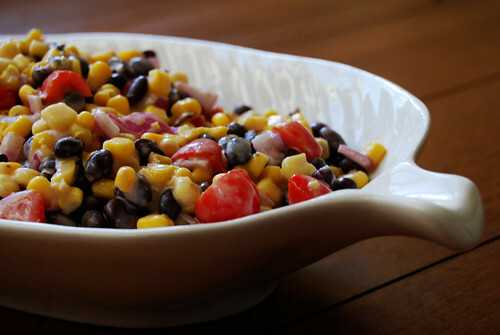 I am looking at this photo and wondering why I haven’t made this black bean and corn salad in a long time. 3. 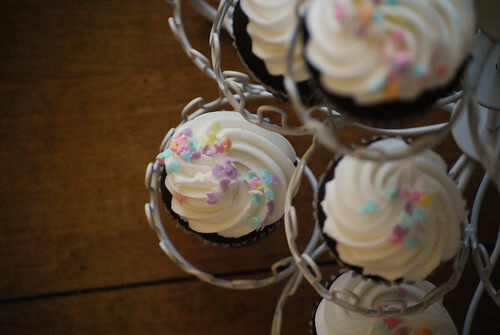 Make the composition interesting.Sure you could just have a cupcake on a plate, but that’s kind of boring. Be creative. Sometimes the food isn’t just about the food. It’s about the feelings that go along with it. 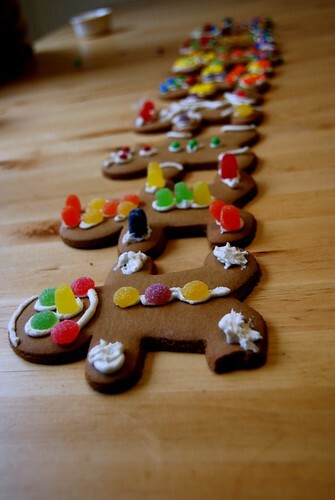 How can you look a line of gingerbread men and not feel happy? 4. Pay attention to what is in the background. Usually a solid color, black or white, plate will make the food stand out. 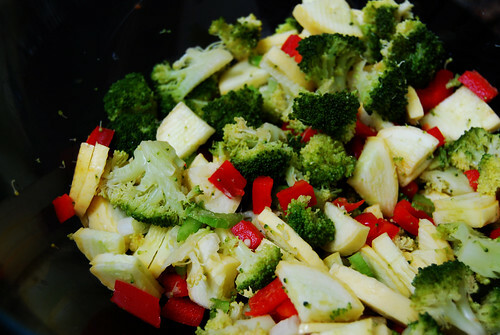 The vegetables in this photo are so vibrant because they are offset by the solid dark background. Want to know a secret? The food in this photo is right on my granite countertop. I couldn’t get a good photo on my cutting board. But other times an interesting background works just as well. Again this is because the photograph is about more than just the food, it’s telling a story. 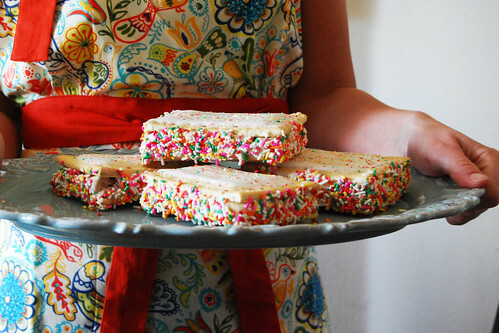 Convincing you that you too want to make homemade icecream sandwiches for your family and serve them on a platter while wearing an awesome apron. 5. Use natural light. Most overhead lights make the photos too yellow. And I don’t know I have never been able to take flash photos without everything being completely washed out. I have been known to bring the plate of food I am photographing outside to make better use of the light. 6. Presentation is everything. None of the other senses are available except what is seen in your photo. We can’t smell the food, nor can we smell the lingering aroma of it having cooked in the kitchen. We can’t taste the food. It has to look good. I’m sorry. I think I was just drooling a little bit. Thank you for these tips on how to photograph food better. I love to show people what I eat but mine never looks as good as it should. Will definitely try these tips. 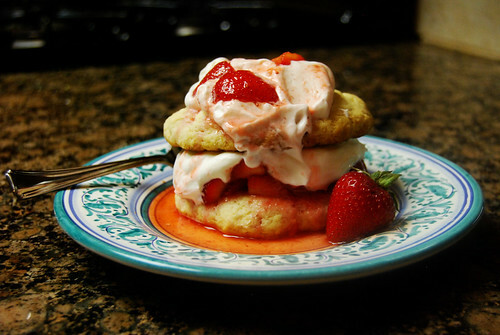 I love your food photos! Thanks for the tips! All your tips, and your photographs, are great. But I’ve got to tell you — even if I didn”t already love pumpkin seeds, I’d have to have some now. 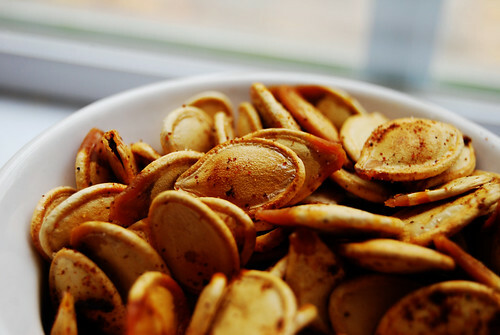 I mean, that picture makes me NEED some pumpkin seeds. Thank you. OMG, I second that on the pumpkin seed picture. I don’t know if I can wait 6 weeks till pumpkin-carving-time. Thanks for the tips. I have been craving doing some food tips or food blogging not sure why. Those tips will help. 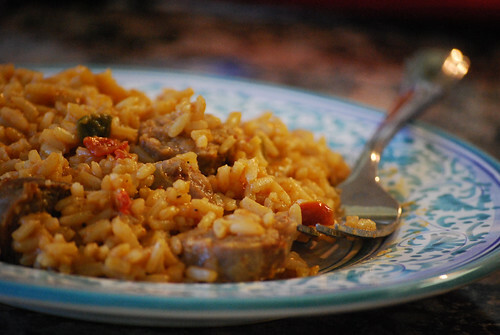 I ahve been craving doing some food blogging here lately these tips will help. Great, now I’m hungry! Thanks for these tips. I don’t blog but I do post on Facebook. Although I’m not one who normally posts pictures of food on my FB page, I will now that I know how to take a proper picture of my plate without making it look washed out.